Come & Join us at this exciting event! Our sponsors have planned giveaways, door prizes, samples and special discounts for all of our early attendees so make plans to join us when the doors open. 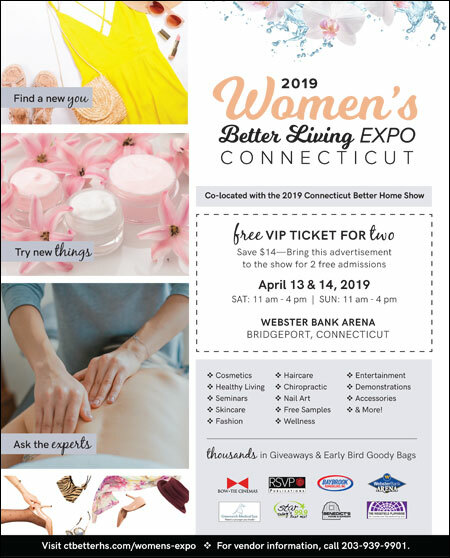 This event is co-joined with the Connecticut Better Home Show, which is the top show of it’s type in Fairfield County. This fun shopping experience will feature brands & companies in variety of categories including; Fashion, Cosmetics, Skin Care, Travel, Health & Wellness, Food, Wine Tasting, Jewelry, Spas, Salons, Retreats, Education, Free Health Screening and more. The event will also feature Beauty Makeovers, Free Samples, Wine/Sprit/Beer tasting, Food samples, and opportunities to win valuable prizes. Admission if FREE if you pre-register now! Admission without a VIP Pass is $7 per person, Kids 16 and under are free. For news, updates, show information and special promotions! We will have a huge audience of Ready-To-Engage consumers on hand to this outstanding event. 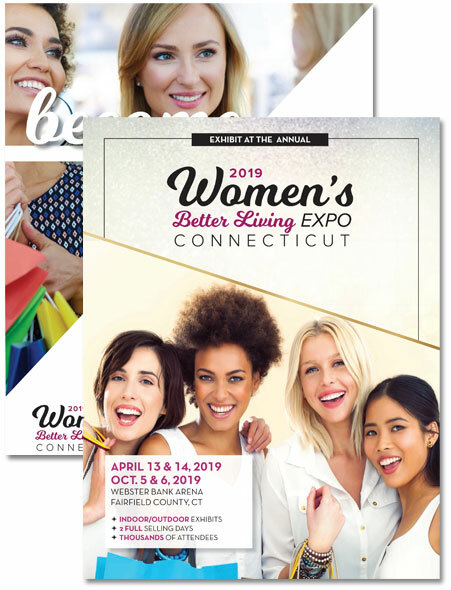 The event is co-joined with our Connecticut Better Home Show which on its own will generate thousands of attendees and is the top show of it’s type in all of Fairfield County. We have a huge advertising, marketing & promotional plan in place that will deliver the audience and set you up for success. If you do partner with us, be prepared…as you will be super busy early & often both days. You will be able to generate leads for your company, launch & test new products, reach new customers, promote your retail/online businesses, demonstrate and sell products to our audience, drive your revenues, and set up appointments. Sponsorships are a fantastic way to take hold of a huge audience in advance of the show, and during the event as well. If you partner with us, we will include your brand and products in various forms of our pre-show advertising, marketing & promotional efforts that will insure your success. Your brand would be included in our advance Direct-Mail & Email Campaigns, Radio Advertising, Electronic Billboards, Jumbo Tron, Print Advertising, VIP Ticket Distribution, Signage at the event, Press Releases, Web promotions, Facebook Promotions, and more. Thanks to our Sponsors, Media Partners, and Clients, we will sell out the space to this event, so please act now to secure the best possible booth location for your company. I am interested in receiving the Exhibitor Brochure and Booth Application to review for possible participation.